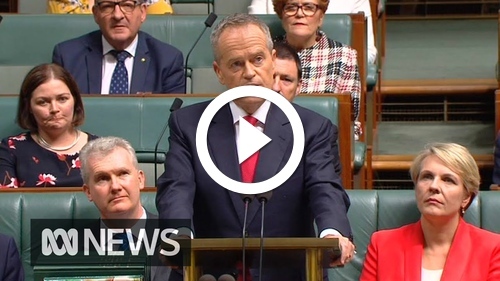 Australian Opposition Leader Bill Shorten delivered his budget reply speech last night. I cried when he announced his plans for sweeping additions to Medicare for cancer screening and treatments. We were extraordinarily fortunate that my dad had a great job and insurance; it meant my sister and I had a mum for another decade. Everyone should have that opportunity. I won’t lie, I was feeling excellent afterwards. The current government’s budget speech was a shrill diatribe against a party that hasn’t been in government for six years. Bill Shorten sounded like he had a plan, and his shadow cabinet looked more prepared than the government’s own bench. But with a day to mull it over in my head, and thinking about my own industry, a few bits of reality set in. This is the same opposition party that sided with the government on the #aabill, and the arguably well-intentioned but disastrous social media reform law, both of which are costing Australian IT jobs and our international reputation. Innovation wasn’t mentioned in the speech, and technology scored but a fleeting mention in remarks about “new investments in eliminating mobile blackspots; and a more reliable NBN for small business”. No detail was offered in either case. To expect Bill to cover the aforementioned legislation may have been a stretch, but with the election looming it was Labor’s de facto campaign start. And dare we forget that while they started the NBN, it was that same Labor politician who wanted to instigate the Great Firewall of Australia. There’s potentially a lot to be optimistic about in a few months, but I fear IT and digital rights won’t be among them. Older post → Using a 4K LG UltraFine display with FreeBSD?